Invitations are sent 6-8 weeks before the wedding date. They’re your guests first hint as to what the wedding day will be like. Will it be a formal affair in a swanky reception hall? Or are you going to have a more casual get together at an outdoor venue with a BBQ? 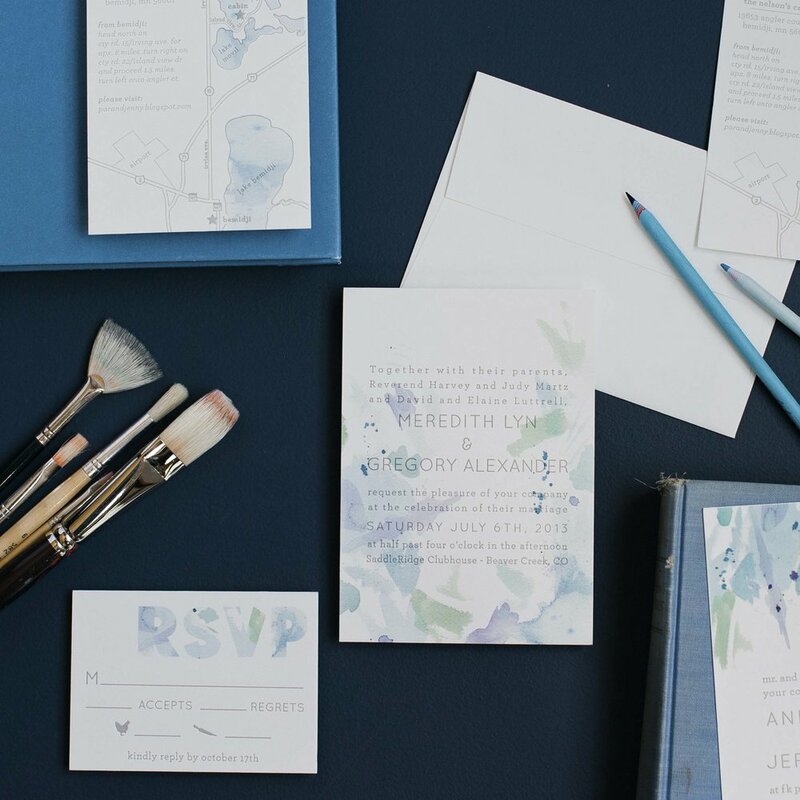 The design and wording sets the tone so your guest knows what to expect. There are endless possibilities and it can start to feel like a puzzle. That’s where we come in! We’ll work with you to create a cohesive design that ties all the paper pieces together.